Saturday (Dec. 3) is shaping up as being the busiest day of the local holiday season with a number of events planned throughout the Cannon County community. • The Woodbury Lions Club Pancake Breakfast from 7 a.m. until 10 a.m. for all you can eat pancakes and sausage for $6 or $5 in advance. 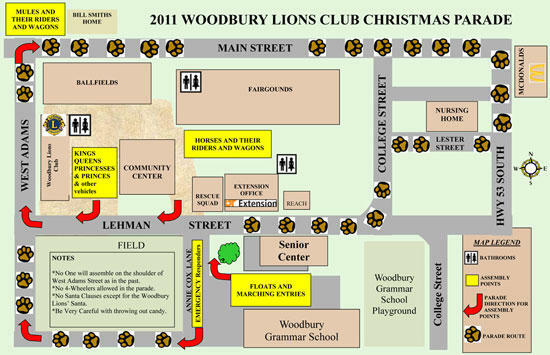 Santa will be making a special appearance for photo's during the pancake breakfast from 8 a.m. to 10 a.m..
• The annual Woodbury Lions Club Christmas Parade will be Saturday, December 3, 2011 beginning at Noon. The parade is held every year on the first Saturday of December and features a visit from the jolly old elf himself, St. Nick. • The annual Woodbury Lions Club Tour of Homes is set for Saturday, Dec. 3 from 4 until 8 p.m.Tickets at $5 each are available from Lions Club members or may be picked up a the Lions Memorial Building the day of the event. - Joe and Teressa Tate's place at 1860 Readyville St.
- Junior Brandon's house on Burt Bergen Rd. - The Historic Readyville Mill. • Santa's coming early to Woodbury, bringing the gift of free dance lessons to children and adults alike. Cannon Arts Dance Studio, in conjunction with the Core Project of Chicago, will present two days of free lessons culminating with in studio performances Saturday (Dec. 3) and Sunday (Dec. 4). • Cannon County Girl Scouts are planning a Free Giveaway Saturday from 9 a.m. until 11 a.m. at the Cannon County Community Center, 630 Lehman Street, Woodbury. Girl Scout Troop 1407 and Troop 323 are holding their 16th annual giveaway. Everything is free-free-free. Men, women, and children clothes, household items, toys and books are just an example of available items. 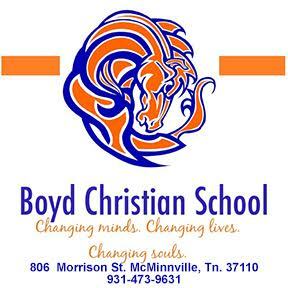 If you have questions contact 765-2265 or 563-4177. • The Lascassas Christmas Craft Fair will be held fro 9 a.m. to 4 p.m. Open House at Lascassas Drugs, Lascassas Eye Care, Valley Growers, and 15 vendors at Brown's Store.